A vibrating capsule may provide relief for those who suffer from chronic constipation, according to a small study presented at Digestive Disease Week, an annual meeting of gastroenterologists, hepatologists, endoscopy specialists and GI surgeons. Twenty-six study participants, who all suffer from chronic idiopathic constipation or constipation predominant irritable bowel syndrome (IBS), were asked to take a vibrating capsule twice a week and then complete a questionnaire, according to the study, presented Saturday. 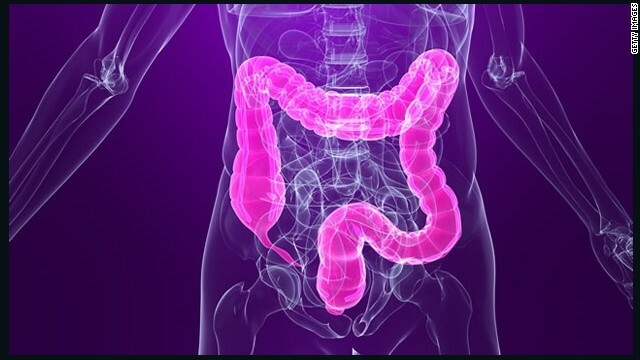 More than half of the 26 patients experienced an increase in bowel movements, says Dr. Yishai Ron, lead study author and director of Neurogastroenterology and Motility at Tel-Aviv Sourasky Medical Center. "The number of bowel movements rose from around two to nearly four bowel movements per week – this was an average figure.” Ron adds patients also saw a decrease in constipation symptoms. In addition, patients reported minimal side effects. Before participating in the study, patients were asked to refrain from using laxatives for two weeks before ingesting the capsule. "The vibrating of the capsule induces a motor activity of the large bowel which moves content forward and helps expel it out," says Ron. The concept is based on the current technology where a patient swallows a video-chip capsule to allow doctors to capture pictures inside the bowels instead of undergoing a standard endoscopy, Emory Saint Joseph's Hospital gastroenterologist Dr. Tom McGahan said in an e-mail. This new capsule doesn't take any pictures, but rather acts as a "small engine" which stimulates the bowel nerves, says McGahan, thus creating vibrations that help induces bowel peristalsis. "Peristalsis is the coordinated wave-like action of the intestine muscles that propels bowel contents along." "This is a new concept - not yet proven true or effective, but novel at least," says McGahan. He adds this is just a pilot study to assess safety and it's not proof that this capsule is more effective than other treatments. "No conclusion as to the benefit of the capsule can be made from this study because of the small number of people tested, that they all knew they took the Vibrant Capsule (it was not a blinded study), and they did not compare this group of 25 to a similar group who received no treatment (control group)," he says. Ron admits more research needs to be done but says he is hopeful "this might be a revolutionary solution for constipation," especially since patients found relief after taking only two capsules per week. "It's a non-chemical medical device, no side effects, nothing is absorbed, there were minimal side effects with maximal effects." Chronic constipation affects about 16% of people in the United States, according to a 2010 study in American Journal of Gastroenterology. Dr. Ron says, "this is a chronic syndrome and these people suffer daily from this inconvenience," and he adds, "most people are unsatisfied with their current laxative use." McGahan agrees, saying many people do not find relief of their symptoms with their current treatment and admits there is no perfect regimen because of so many side effects. The study was paid for by Vibrant Ltd. a medical device company which developed the capsule. How stupid! Change your friggin diet! Diet and exercise. Diet and Exercise. Oh Yeah... Diet and Exercise. I find this interesting. I happen to know someone who has been a vegetarian for at least 15 years and eats healthy vegetarian meals (as opposed to a junky vegetarian) and is an athlete but still experiences constipation. This is a rather interesting article, really. God these people only pooped two to four times a week?? I go twice a day and I think that's not enough .haha learn something new everyday!